Reports of the police crackdown on the protestors have come in from across the nation, with many injured. In the small, landlocked nation-state of Swaziland, the last remaining absolute monarchy in sub-Saharan Africa, a militant workers’ movement has taken to the streets, protesting against the ruling regime’s indifference to the plight of the people. 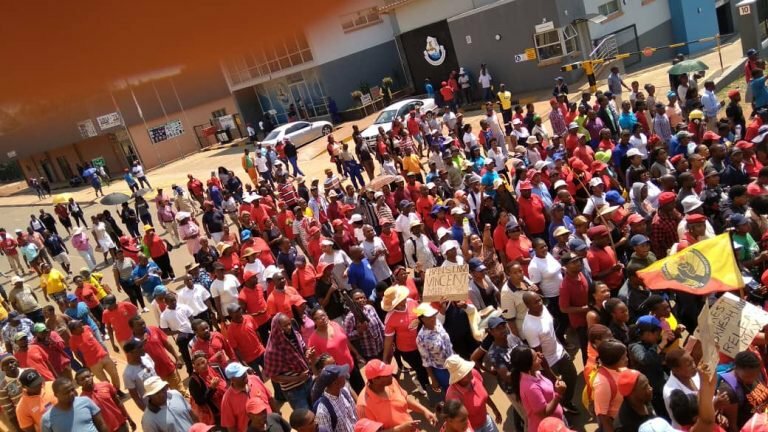 Tens and thousands from all sectors, both private and public, holding memberships in 19 trade unions, have united under the umbrella of the Trade Union Congress of Swaziland (TUCOSWA) to embark on a historic strike. 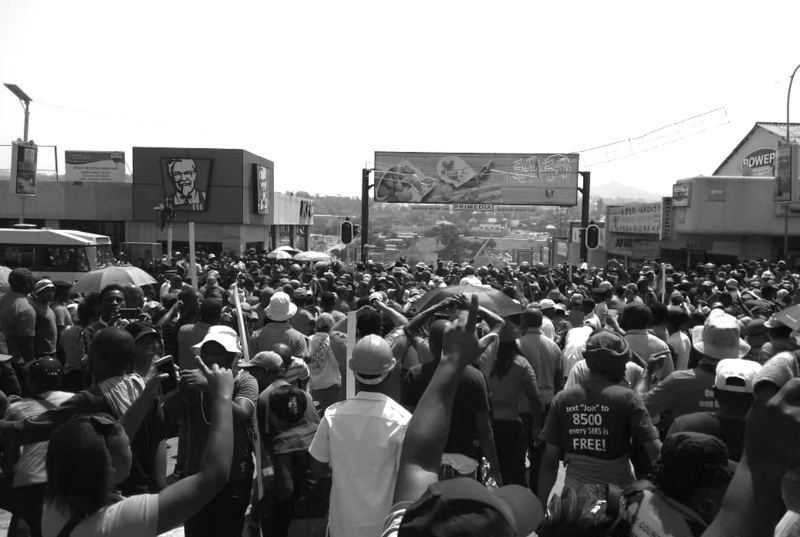 It is a three day (September 18-20) nationwide strike with major protests taking place in the main cities of Manzini, Mbabane, Siteki and Nhlangano. The ruling dispensation has time and again refused the demands of the people, saying the country’s financial conditions do not allow it to incur such expenditures. This is believed to be untrue as the monarch, King Mswati III, leads a lavish lifestyle, only recently having spent E1 billion (around US$ 66 million) on his 50th birthday celebrations, allegedly from state pension fund. “Public hospitals and clinics do not have sufficient medication and equipment and schools are insufficiently funded, The education received by the people is of poor quality, including the curriculum which is directed at strengthening the regime’s grip on power by brainwashing the population,” Njabulo Dlamini, International Organiser of CPS said in an interview to Peoples Dispatch earlier. The royal police resorted to a violent crackdown on the workers’ strike. Reports of police shooting tear gas, rubber bullet and water cannon at the protestors have come in from across the nation in which many workers were injured. No deaths have been reported till now, however, at least three workers have been critically injured and face the risk of losing their lives. Despite the state’s heavy-handed actions, the workers have vowed to strengthen their strike. Originally planned as a three-day long strike, Dlamini, told Peoples Dispatch that the people might continue the demonstrations until the government pays heed to their demands. He also fears that the government might deploy the army to suppress the current working class action as the ‘general elections’ are scheduled on September 21. The strike comes after a series of protests and rallies in the last couple of weeks, all of which saw police violence in attempts to suppress the protestors. Police shot and wounded a schoolteacher at a teachers’ rally protesting their salaries in late August. Demonstrating nurses in the country’s capital city of Mbabane were tasered for demanding a hike in pay. The prevailing sentiment in the people is opposed to the election process, owing to lack of democratic processes, and dissatisfaction with the state’s inability to engage with their needs and demands. The country is witnessing lowest voter turnouts in its history this term. The parliament, elected once every five years, is widely regarded as a ‘puppet’ government, serving as an instrument to allow the monarch to exercise his will and completely incapable of keeping a check on Mswati’s power. No political party is allowed to contest the elections since 1973. Political dissenters arefrequently punished and face police brutality. The protestors, seen as ‘a major threat to the state,’ are often targeted later by denying them state scholarships and access to government services. Nurses in Swaziland went on a strike on September 5, demanding a hike in salaries of 6.5% based on the cost of living adjustment (COLA).